We will enjoy a catered meal provided by Masala Restaurant. Food will include: pulled pork on a bun, chicken, coleslaw, roasted & french fry potatoes, tossed salad, vegetables and special for the children, Grilled Cheese sandwiches AND pizza slices! Non-alcoholic beverages, snacks and more. We will also have some Vanilla Cake for dessert! 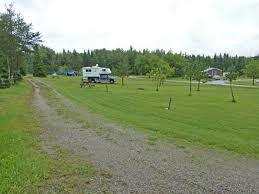 For more details on the Birchland RV Park, please visit their website.